DC may not be launching a line-wide initiative this summer as they did in the past with the New 52 and Rebirth, but it could be argued that the coming months could see similar levels of excitement and rejuvenation. I mean, not only do we have Brian Michael Bendis relaunching Superman to look forward to, but there’s also the matter of Scott Snyder doing likewise with Justice League, effectively making the flagship team’s lineup reflect that of what was offered in the beloved animated series. On top of that, the events yielded by the upcoming No Justice miniseries will give way to two other JL books, both of which will feature their own unique lineups. One will be a new take on Justice League Dark, with the other being Justice League Odyssey, the focus of today’s conversation. 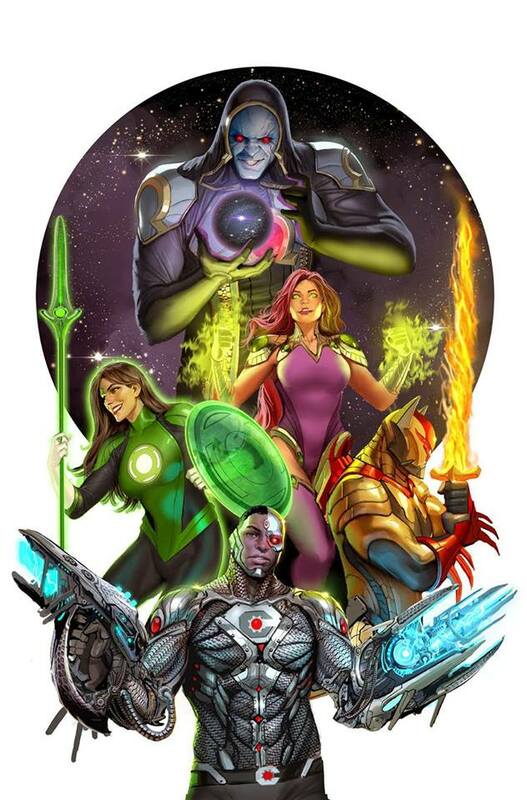 Now, what’s interesting about Justice League Odyssey is that it has the ability to sell itself based on its cast of characters alone. Really, how could you pass up a book that’s headlined by the likes of Cyborg, Starfire, Azrael, Green Lantern Jessica Cruz and – get this – Darkseid? That’s what I call an impressive and eclectic lineup! Cryptic as that may be, it’ll be intriguing to see why this group of heroes are teaming with a man who is essentially the greatest evil in the universe. Granted, we may accept more ambiguous villains such as Sinestro and Deathstroke at times, but you have to admit that Darkseid is pushing it. Keeping that in mind, Williamson teased that issue #2 begins with the line “Darkseid Is… no more,” so maybe he’s been considerably depowered or something. To say that the past few years have been a strange journey for him is a massive understatement, so one can only wonder what the creators have up their sleeve. Justice League Odyssey #1 arrives in comic shops this July.